Welcome to Jay Tester's Railroad Picture Archives! Welcome to the RRPictureArchives.NET contributor site of Jay Tester. Welcome to my Picture Archives! 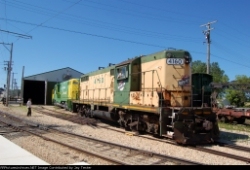 Here you can find railfanning pics from Michigan and a few other places.